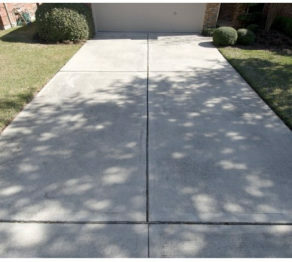 Spring is the perfect time to replace the missing or weed filled joints in your driveway. 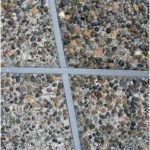 Winter is almost over here in Houston and the cool Spring weather enables the do-it-yourselfers out there to take advantage of a perfect time to replace their rotten, missing, or broken expansion joints in their driveway, sidewalk, or around the pool deck with SlabGasket. Cooler weather has already come to many northern states, and shipments to those areas has already increased. 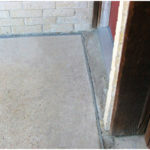 Although SlabGasket can be installed any time in almost any condition, a spring afternoon offers a great opportunity to get out there and do something that can impede weed growth, improve safety by preventing an injury due to a trip hazard, and increase the curb appeal of your home. And, for you guys who really don’t want to tag along to various spring festivals, and you know who you are, installing SlabGasket on a Saturday will be the perfect excuse to stay home while the wife and kids do the festival. The summer heat here in Houston was dangerously hot last summer. Our installers had to break the jobs into manageable portions in order to keep from being overcome in the heat. But, now that Spring is near, we can again get out there and work full days. Order a sample pack of SlabGasket. The sample pack is free, but we have to charge $14.95 for shipping and handling. The s&h charge is fully refundable by check when you place your order. If you wait several months to order, though, please remind us that you had paid for the s&h. Our memories are good, but short.